Shree Property Holdings was established in 2007 as a property development company specialising in developing AAA grade new generation warehousing and has since grown from strength to strength. 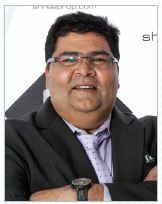 CEO Pran Shree is a relative newcomer to the property business but he has been an entrepreneur all his life. From humble beginnings, when he left school to run the family butchery when his father fell ill, he has grown and diversified his business. Initially expanding into meat cold storage, a natural extension of his butchery business, Shree is now responsible for South Africa's largest fruit export facility in the Southern Hemisphere, moving 600 000 pallets through their warehouse in South Durban each year. Shree Property Holdings now has an ever expanding property portfolio of over 500 000 square metres in the Durban area, including 13 sites in South Coast Road, 13 sites in Sydney Road and 30 000 square metres of commercial development in the Riverhorse Valley Business Estate. The company now employs approximately 250 permanent staff members and a further 2500 thousand people in contract or casual positions across the various company divisions. The portfolio of warehouses provides a complete turnkey solution to storage and logistical needs, as well as customisation as per requirements of tenants. The core strategy adopted warrants a logistically sound layout that incorporates open span design and ideal flow within the warehouse to enable maximum usage of the floor area. Pran Boulevard is the most exhilarating new venture for Shree Property Holdings in 2014. It shall house the new green star rated headquarters for Shree Property Holdings, as well as mark the diversification of the property portfolio by entering the commercial, retail and residential markets. Pran Boulevard is located in the highly popular and chic Ridgeside precinct in Umhlanga on one of the few remaining road frontage sites to Umhlanga Rocks Drive. This latest new mixed use development design shall be an iconic building to be added to the Umhlanga skyline. This property includes the usage of 8 000m² of bulk area, a generous amount of road frontage retail space, ample office space, and luxurious penthouse apartments. Construction is earmarked to commence in 2014 and will be available for occupation by the 4th quarter of 2015. 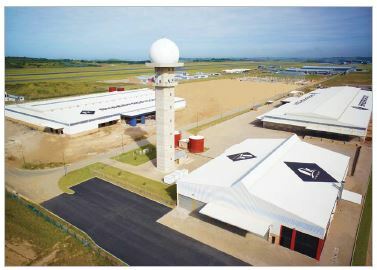 Shree Property Holdings' investment in the Dube TradePort Trade Zone is significant, not only for the magnitude of the investment, but also in that this is the first private sector investment in the TradePort. Once again, Shree is one step ahead of the market, and prepared to lead the way by taking up 23 Dube TradePort sites for a 60 000 and 20 000 square metre developments under roof. Commencement of construction for one of the four warehouses began in May 2013. This innovative development was christened Pran Park. The key advantage of this new industrial area is the rezoning into a Special Economic Zone (SEZ), thus boasting a vast amount of added benefits provided by the South African Government. Although there is a strong presence of Shree Property Holdings properties and highly innovative warehouses within Durban''s south basin, the company is continuously scanning the market for property opportunities that meet the design of the current warehouse portfolio. Shree Property Holdings advantageously positioned its new developments in close proximity to the proposed Port dig-out by acquiring a sizeable amount of space in Southgate Industrial Park in the newly hyped area of Umbogintwini. 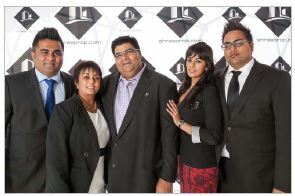 Shree Property Holdings remains a family business, with Pran as CEO and his wife Annisha as Financial Director. Their daughter Sanam has recently joined the business as New Business and Investment Manager, while their sons Mayur and Pavan have been involved in the business for several years, as Managing Director & Chief Information Officer and Marketing and New Developments Manager respectively. Integrity and customer service was the goal that founders envisioned when they started the company in 2007. Today, this mission is more important than ever to their customers in South Africa and around the world. They work hard every day in all their ventures to deliver on this promise. The entire team operates with the same level of integrity and respect that the founders put in place. It is due to this value system and culture that Shreeprop continues to make a difference in the lives of their customers, staff and associates.